Imagine the coziness of living inside a small house. 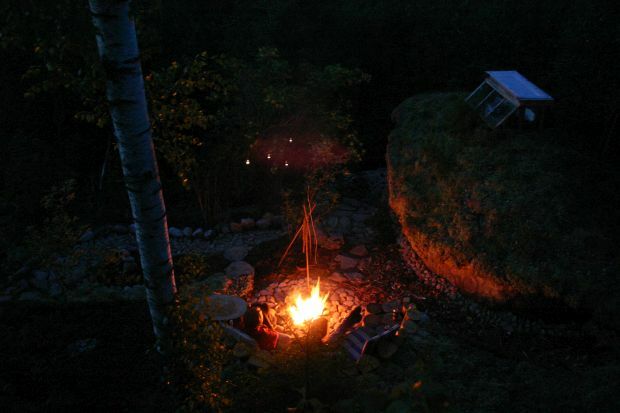 Made of earth, wood and stones, covered with a green moss roof, the earth house is situated partly hidden into the hillside. 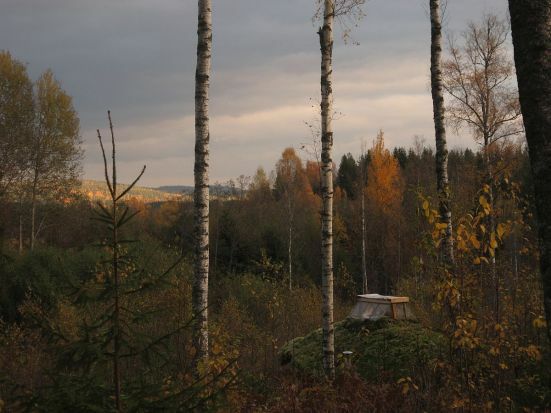 It has antique windows facing southeast, that will show you the ever-changing fields and forest. Quite possibly you could spot a deer, wild birds such as woodpeckers or even a moose if you're lucky. It has a bed for maximum two people, a wood stove and the facilities are down at the main cottage and at the shower cabin.. Bookings are 800 kr. per night and can have max. 2 people. It includes use of the facilities and breakfast. Special weekend rates 1300 kr. (2 nights from Friday 2 pm - Sunday 11 am). Week rates from 4500 Kr. Unique wonderful place to fall in love with. Dennis' cottages and the overall close to nature-feel is the lovliest ever. Dennis is a super helpful, awesome and clever guy. If you're in the area and look for that cosy getaway, you won't find anything more genuine than this. The Earth House is extremely cozy, lots of atmosphere. Dennis was there to welcome us at arrival, the breakfast in the morning was a nice extra! 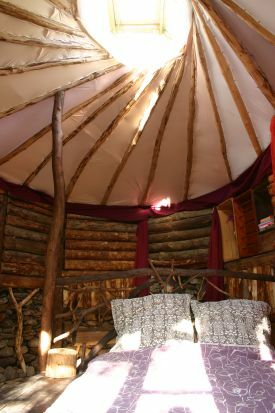 I would certainly recommend this place if you aim to spend a night in something quite different from the ordinary stuga. wow! einfach wow! Was Dennis und Ayet dort geschaffen haben, ist der Wahnsinn. Ich habe 2 Nächte im Earth House verbracht und fand es toll. Das gesamte Gelände ist mit vielen liebevollen und künstlerischen Details versehen. Natürlich ist die Ausstattung sehr simpel aber dafür umso cleverer durchdacht und auf das nötigste reduziert. Zum Abschalten und um mal herauszufinden 'wie Stille klingt', kann ich es nur empfehlen! Großartig!